12 Responses to "कुलदेवी क्षेमंकरी (खीमज) माता"
Me Bhinmal me khimaj mata ke darshan ke liye ane wala hu. Rehne ke liye kaisa intzam hai? Khimaj ma ke madir me Daramshala ki vyavasta ki hai kya? This is very wrong information. The original temple of Khewaj Mata Ji is situated in village Dei, bundi district in Rajasthan. 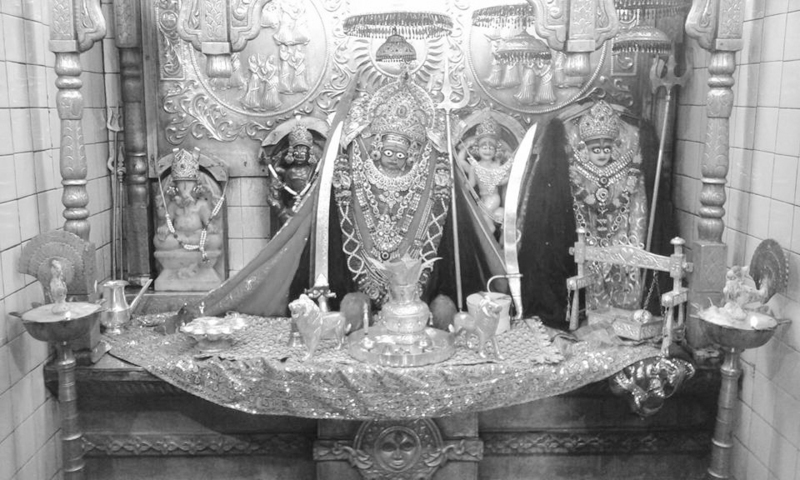 The temple was founded somewhere in 10th Century AD by Maharaja Mulraj Solanki, founder of Solanki dynasty of Gujarat. It was then renovated by Mahajara Sidhraj Jaisinh Solanki of gujarat. There is a whole book written on the history of Solanki rajputs and the temple which is available in the Khewaj Mata temple, Dei. Please stop misspreading the wrong and distorted history of Maa khewaj and the Solankis. The bhinmal temple is not the original and foremost temple of Mata Khewaj. It is a relatively very new constructed temple. Please give me your contact number hkm.